Sure, it looks like ramen. But it’s taken me several winters to find this shade of “noodle” in scarf-form. There have been plenty of off-white scarves I’ve come across, but they were never quite right. And then I found this ideal-colored ball of yarn in Pueblito los Dominicos during my recent trip to Chile. If I couldn’t find the scarf of my dreams, I’d just make it. So I dusted off my knitting needles, watched several instructional videos to remind myself of the basics, and got to work. It’s a simple stitch, the only one I know, and it’ll hopefully get the job done. After enduring several weeks of +100 degrees in Austin it’s difficult to think of a time when it was ever not hot here so beyond this picture I don’t see myself wearing my creation. 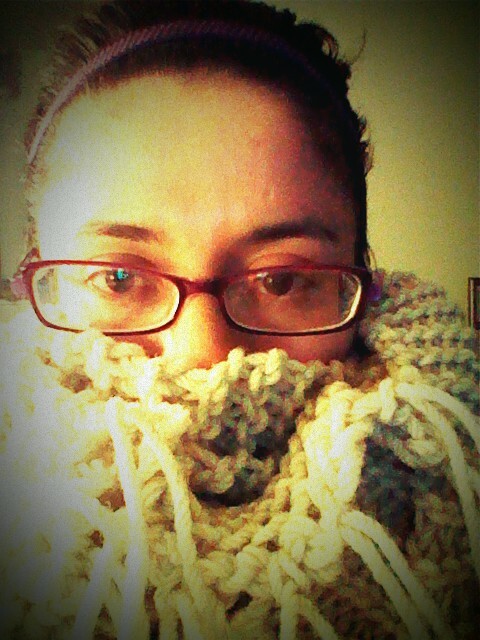 But I forgot how much I love knitting. I just hope I can get beyond the basic stitch this time around. I have a few more balls of Chilean yarn lying around. I smell a sweater on the horizon.